Location: TBA (Edmonton or St. Albert). Yoga is more than movement and transition; it’s about healing from the inside out. Whether you’re a yoga teacher or holistic practitioner, this 25 hr comprehensive workshop is for those that feel a deeper connection to healing from within. 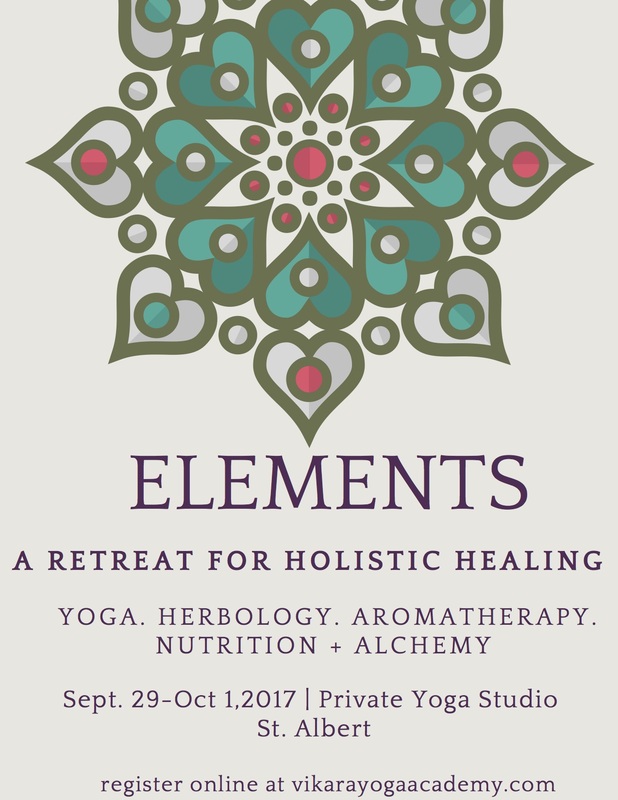 From medicinal herbs, tinctures, essential oils and superfoods woven together with the practice of medicinal yoga movement, this workshop will explore the knowledge of herbs, the art of tea crafting, holistic nutrition, aromatherapy and yoga for the senses. 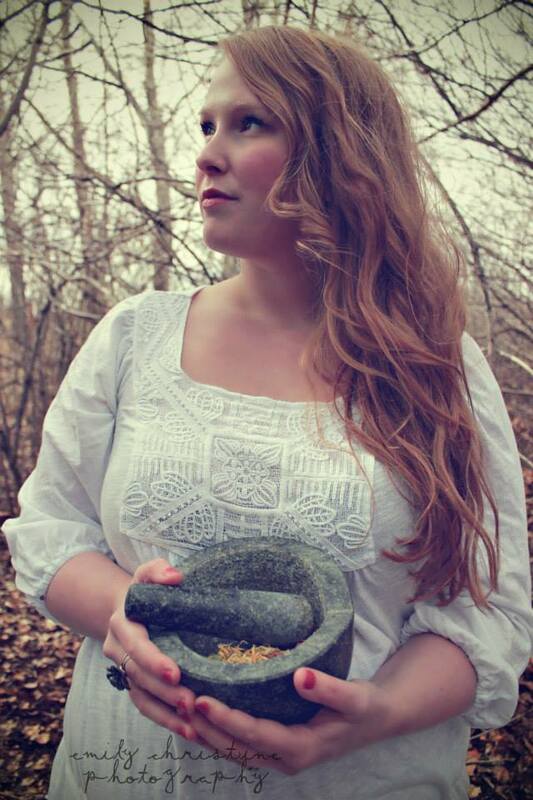 Join Clare Newman (500 E-RYT, Aromatherapist) and Lauren Mary Ference (Clinical Herbalist) for this tactile and explorative workshop combining the ancient wisdom of herbology, aromatherapy and yoga! A mini intensive highlighting medicinal herbs valued for their diverse therapeutic benefits, rich history and abundance of clinical applications. This portion will provide a practical foundation for anyone who wants to use herbs for themselves and their families, as well as for those who are considering further education in this field. Students will encounter a full sensory experience through touch, smell and tea tasting with 50+ medicinal plants popular in herbal medicine. In this seminar, students will begin to apply their knowledge on botanical medicine by learning the techniques of mindful tea blending. We will learn to create a nutritive, medicinal blends and comforting, pleasurable artisanal beverages. Students will have the opportunity to create their own custom tea blend. A hands on workshop applying herbal knowledge into practice! Students will learn various techniques and create their own herbal remedies such as tinctures and extracts, oil macerations, topical ointments and discovering other production methods for creating simple, adaptable remedies. Nutrition is the foundation of health- it is key for preventing disease and maintaining good health to survive. Learn how to optimize nutrition from the use of whole foods and superfoods to thrive! We will discover how to apply nutrition as a therapeutic tool with a holistic approach, while learning about different food groups, proper food combining, energy sources, popular super foods, and so much more. We will sample various superfoods and learn how to create delicious recipes such as a green smoothies, kombucha, healing broths- just to name a few! The fun can’t all be held in the classroom through tactile investigation. Exploring the mapping of our physical chemistry and make-up with movement seems an intricate part of understanding all facets of our ‘selves’ as well as our ‘bodies’. During this 90 minute yoga practice, we’ll explore the senses and subtle energies by way of movement and essential oils. Tapping into our most primal sense of smell while moving through our emotional and breathing sheaths. With the popularity of essential oils and floral essence into the holistic market, it’s crucial for those delving deeper into the use of oils to understand the chemical structure and compound of certain oils to gain a better understanding about their therapeutic benefits as well as contraindications. Learn the fundamentals of 15 key and profound oils, their history, chemical compounds, subtle energetic benefits, notes and properties of each oil. A hands on workshop applying our organic chemistry into practice! Students will learn the art of blending certain oils to create a aromatic room spray to sooth emotional, mental or physical ailments, a massage blend using specific carrier oils and essential oils as well as a therapeutic blend to treat ailments with the use of a diffuser. Clare’s journey into holistic modalities started in her kitchen while creating natural and holistic products for her first born son in 2008. Concerned about the harsh chemicals found in commercial baby products, Clare started researching holistic receipts using herbs and essential oils. After finding conflicting information and contraindications with using and working with essential oils, she decided to pursue her Aromatherapy certification with the West Coast Institute of Aromatherapy in British Columbia. While completing the course, Clare launched a line of natural and holistic skin care products geared towards mothers during pregnant, labour and postpartum as well as for babies and children called Mamata Holistics. Since the launch, the line has expanded to over 50 products from face masks to sun care and even a line for Yogi’s! Clare is a 500 hr E-RYT (Experienced Registered Yoga Teacher) with the Yoga Alliance and is the Program Director at both Vikara Yoga Academy and Mamata Yoga (www.mamatayoga.com) and is currently finalizing her Clinical Aromatherapy Certification.